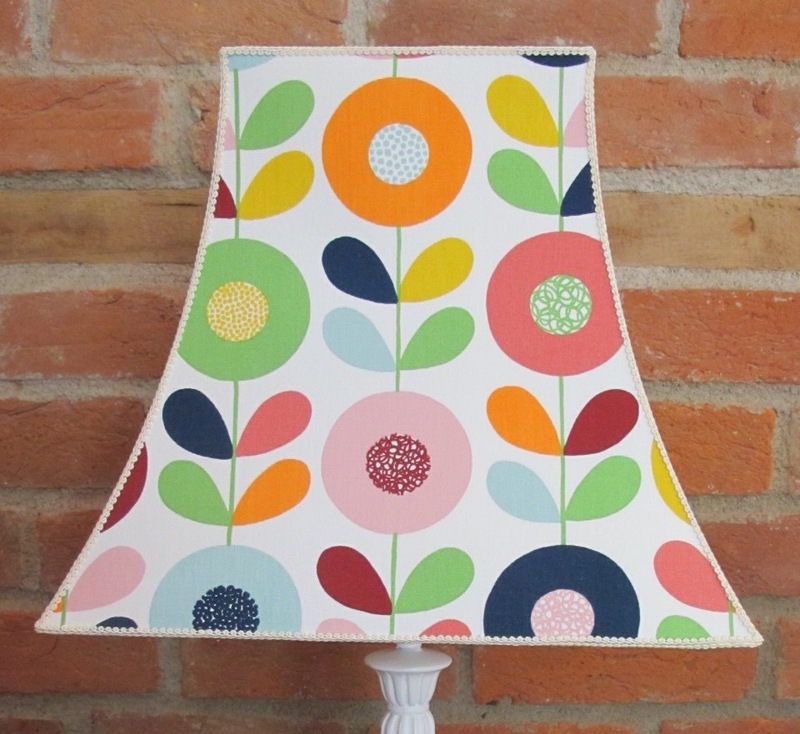 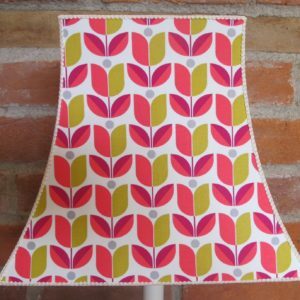 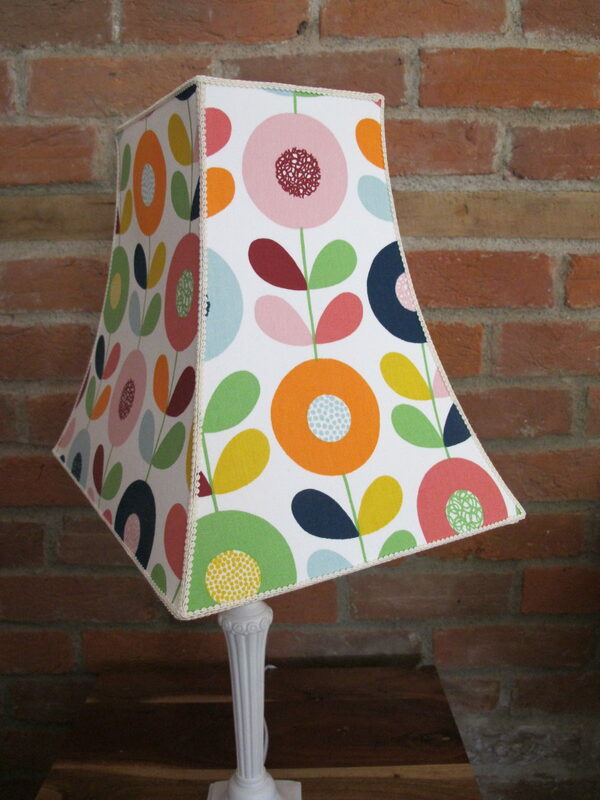 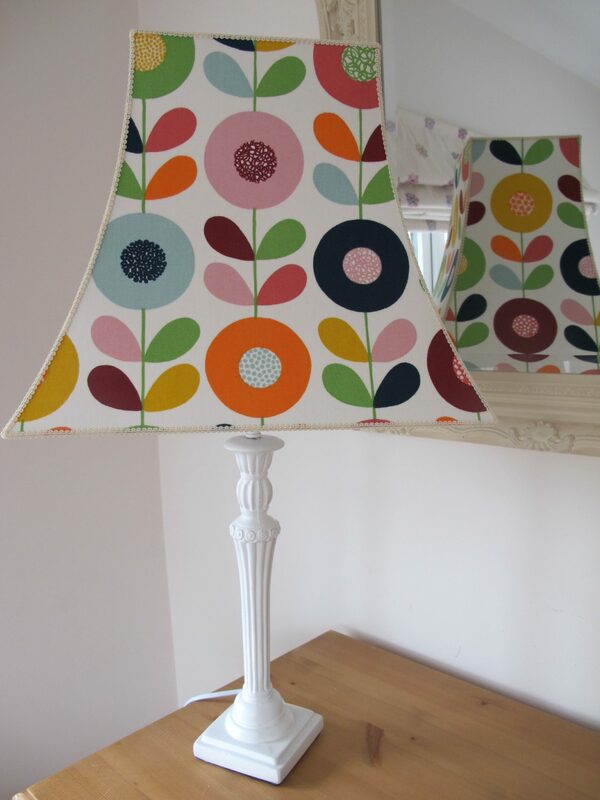 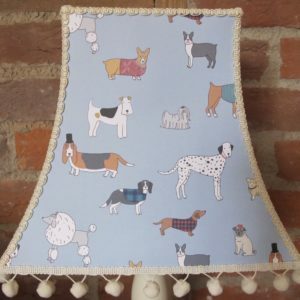 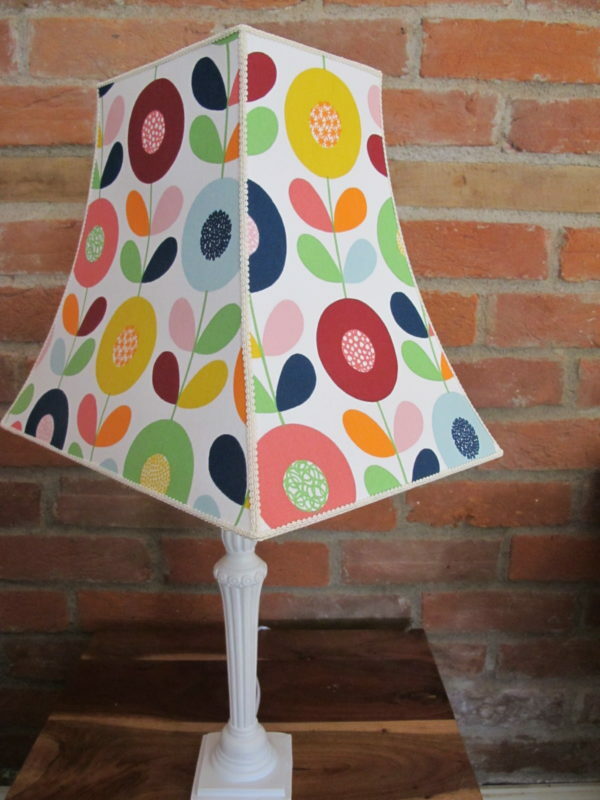 Bold, bright and fun – this lampshade really lifts your spirits. If you want to brighten up the darkest room, this is the one for you! 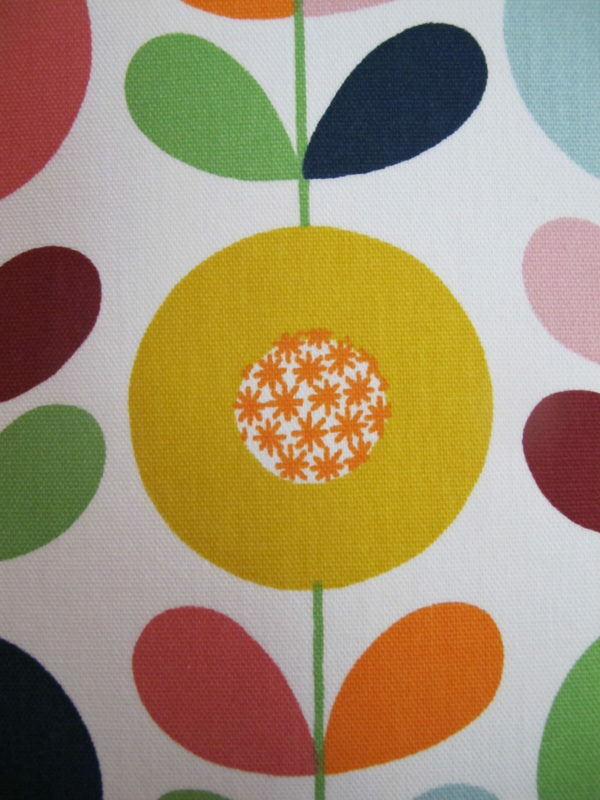 A Scandinavian design with shades of orange, green, mustard, pink, blue and burgundy. Love it! 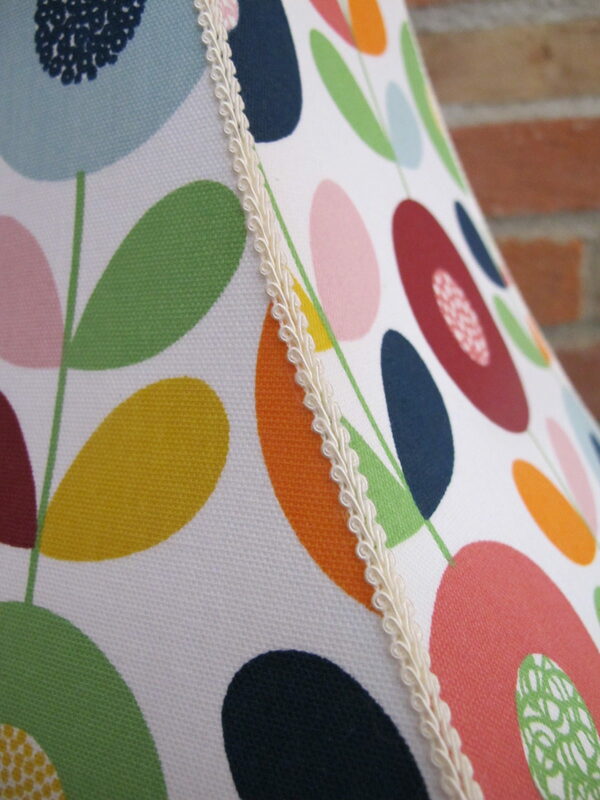 All trimmed with cream braid to finish it off nicely! 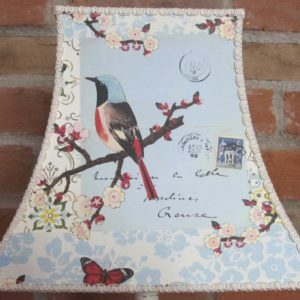 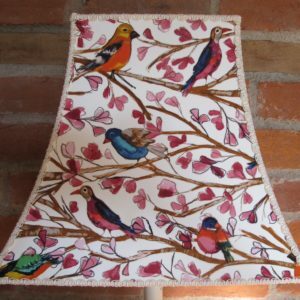 As my lampshades are made to order, your lampshade will be slightly different due to to the cut of the material, but it will contain all that you see just maybe in a different order.